A large panorama of nature spreading at the base of Fuji! Lake Kawaguchiko is full of fun excitement. Fun events are full of spring, summer, Lake Kawaguchiko, winter, Lake Kawaguchiko. 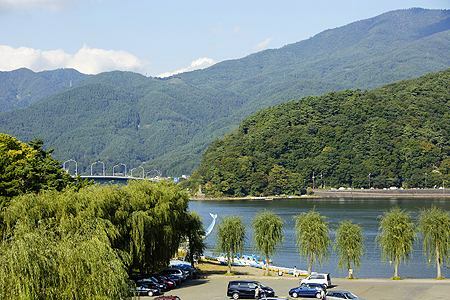 We will introduce event information of Lake Kawaguchiko can be enjoyed throughout the year. ※Depending on the year, the event holding date may change slightly or change the day of the week, please understand in advance. Kitahara collection items are exhibited. You can enjoy permanent exhibitions and exhibition exhibitions that bring together Japanese paintings, movies, photographs, etc. with the theme of Fujisan. Permanent exhibition of works by creative doll author "Yu, Yuki (Ayu, Yuki)". The work that the soul dwells with every one is very touching. We are exhibiting valuable music boxes etc worldwide. There is also a garden, a concert hall and a restaurant. Please enjoy the magical world view of Dayan of the cat which the writer "Ikeda Akiko" draws. It is an art museum that you can feel and enjoy with the five senses. Three points of jewelry products are displayed at the same time. You can enjoy the magnificent view of Fujisan and Lake Kawaguchiko. Kachikachi-yama Ropeway is a panoramic view of Lake Kawaguchiko and Fujisan is a magnificent spot of Lake Kawaguchiko where you can see the skirts. It is a resort where outdoor sports such as skiing and snowboarding in summer and mountain biking in the summer can be enjoyed throughout the year. "Guide walk" which is accompanied by a nature commentator is being popular on the site of 40 hectares spreading base of Mount Fuji of base of Mount Fuji where a nature walking path is being maintained. Herb collectibles gather, bookmarks of flower bookmarks and lease making experience are popular, and the "House of Fragrance" of the annex building has about 500 types of perfumes. Tonboshi ball, silver clay accessories, sandblasting, buckwheat noodles, bottle art and other experience studio facilities. Lake Kawaguchiko Specialties Jamming class using blueberries is a popular experience facility. 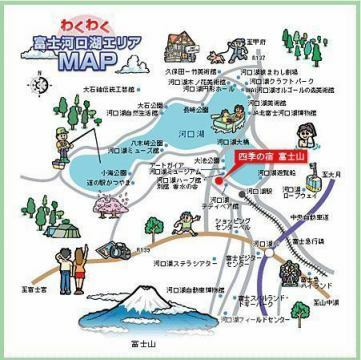 It is a sightseeing spot of Lake Kawaguchiko where you can also enjoy family with children, such as experience studio, scoop of jewelry. Leisure land with popular attractions attracted by Guinness Book of Records and attractions for children to enjoy! Doggy Park, one of the vast parks, is a leisure facility that can be played variously with about 230 dogs.